The effect of preventing static electricity is strong, and the effect of sterilization is strong and the effect of absorbing water is strong. 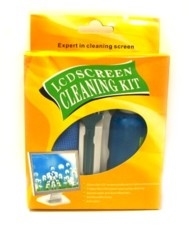 No batting will be left while the screen is polished and it will not hurt the coat in the surface of liquid crystal screen, specially used in polishing liquid crystal screen. No scratched trails will be left. The effect of preventing static electricity is strong, the effect of sterilization is strong and the effect of absorbing water is strong.